The Performing Arts department plays a vibrant role in college life. Students have the opportunity to learn a musical instrument, join a number of bands and take part in the popular shows put on in the winter or summer terms in addition to music and drama curriculum lessons. 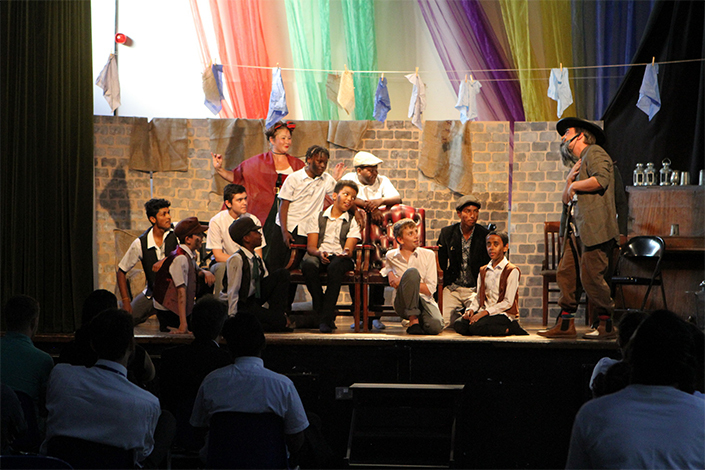 Drama and Music are taught in blocks during KS3 (Years 7,8 & 9). Students have the option to continue with Expressive Art or Music in Key Stages 4 and 5. We also offer music tuition (free of charge) to any student who wishes to learn and instrument and boys are encouraged to take their Grade exams and join the college bands. Each year we have a number of students who successfully pass their Trinity Music exams in a variety of instruments and grades.